As part of the Richmond Art Gallery’s outreach to the community, the Gallery displays artworks by local artists at the Richmond City Hall Galleria every 6 to 8 weeks. For this installation, Dominique & Cindy Duby partnered again with graphic artist Linda Mitsui – owner of Profile Design Group – to create cocoArt sculptures made entirely out of chocolate, weighting around 75Lbs each, and titled ‘Abstract Geometry’. Their take on the geometric sphere shape is deconstructed, and reconstructed ‘organically’ as if it had been distorted. Additionally, the installation will also include print canvases of their award-winning cocoArt photography using their everyday hand-painted chocolates as the main focus along with other food ingredients, colours and photographic techniques including lighting and perspectives resulting in visually unique compositions. Laara Cerman’s work explores the intersection of art, science, history and the themes of impermanence, a return to nature, and the fragility of life. She creates her photographs by capturing multiple digital images and then pieces them together in post-production. This exhibition features works of art produced by individuals at the Avenues art program. All of the featured artists are supported through day programs offered by Richmond Society for Community Living (RSCL). This exhibition highlights the artists’ creative expression and allows visitors to the Richmond City Hall Galleria to see beyond disability to ability. Local Richmond Artist presents delicate works on paper that evoke the ethereal qualities of water. 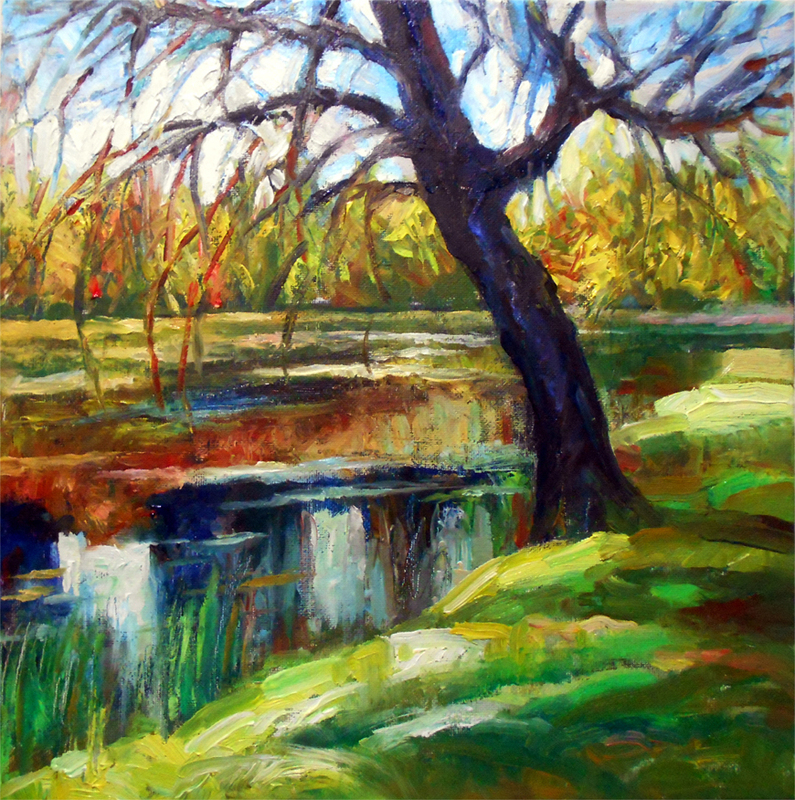 Above: Joselito Macapagal, Tree by Minoru Pond, oil on canvas, 2018.